The Connecticut Convention Center strives to satisfy the unique needs of each exhibitor at every event. If you are exhibiting at an upcoming event, please review our Exhibitor Rules and Regulations. The Center’s functional and versatile facilities layout accommodates even the most difficult exhibitory, making the process of delivering, assembling, utilizing and dismantling your exhibit as hassle-free as possible. 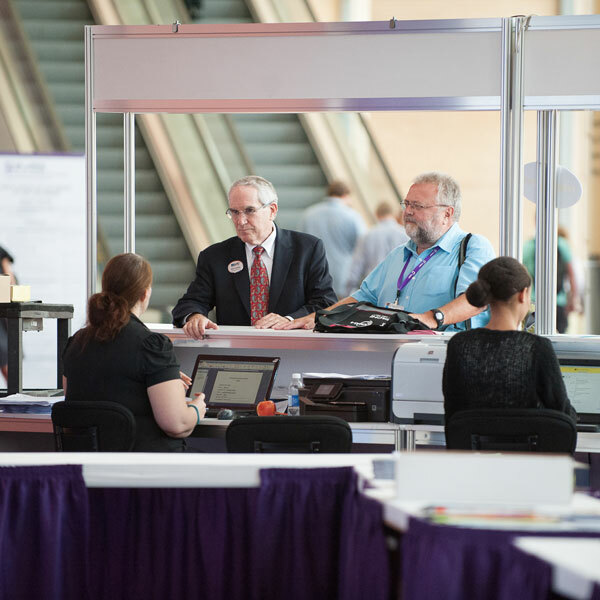 Designed with the exhibitor in mind, our exhibit hall, ballroom and individual meeting spaces have been engineered to make access to utilities and other services a no-brainer so that your exhibit can be its best. With direct highway access from Interstates 84 and 91, the Connecticut Convention Center makes it easy for you and your exhibit to get here with ease. Our loading dock provides direct access to the exhibit floor and freight elevators help to facilitate the process. Our Event Management staff maintains a hands-on approach to service. From detailed floor plans and room configurations to a complete listing of all of the other services and amenities available to you, you’ll find that exhibiting at the Connecticut Convention Center is a memorable experience. Ordering exhibitor services is easy and convenient with our online order form. "The Connecticut Convention Center went out of their way to provide us with the resources necessary for our booth. We would not have been able to do what we did without you."